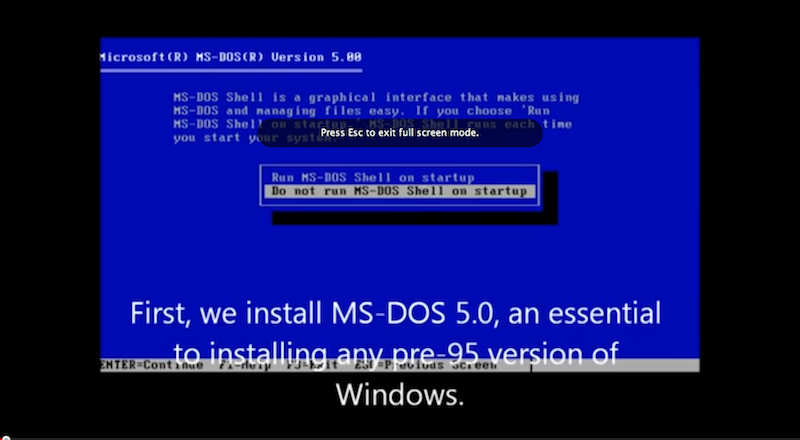 Mobile Phones Fan: Video History of Windows OS ...in 77 Min. Ah, Microsoft's Windows™ -- love it or hate it, we've all been forced had occasion to use it. If you're older than the age of consent, then you likely grew up doing 100% of your computing in a Windows PC environment. Even after Apple Computer entered their renaissance period, anyone engaged in serious commerce -- anywhere in the world -- still needed ready access to the Windows Office™ Suite, on occasion. Of course, nothing lasts forever. MobilePhonesFan kicked the Microsoft habit a few years back, after a disturbing experience with the black sheep of the Windows family, Vista. Still, we do have fond memories of PCs past. Assembling your first Windows box from scratch is a character-building experience. And we were plenty excited about the release of Windows 95, especially after the Rolling Stones commercials. It's a long one (approx. 77 minutes). But then it's not your typical 'overview', where you get a slideshow of splash-page and 'shutting down' screenshots accompanied by the odd sample of 8-bit music or sound effects, then closing with the obligatory hommage to Windows' infamous Blue Screen of Death. That kind of quickie 'history' is worth no more than ten minutes of your time...and it's been done. No, Patrick took it to a new level. 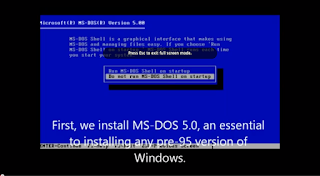 His video depicts the installation of nearly every version of Windows, in revision-order. In other words, he starts with a computer running Microsoft's MS-DOS 5.0, then he documents exactly what 's on-screen while upgrading that PC from Windows 2.03 all the way up to the newly-released Windows 8 consumer preview. You see everything except the 'Please Wait' bits. Good job, Patrick. Take a look and let us know what you think, in the comments. Good day! I'm Patrick Monroe, creator of this vid. First of all, I'd like to thank you for featuring my video on this website. Second of all, the video took about 2 days to film and 1 more to edit. The footage, although it seems like it, was not done in one run. I cut out parts where I had major issues (read: Windows 2000, Windows Vista, Windows 8) for various reasons (graphics driver becoming corrupted and not wanting to uninstall, OS being slow as a snail, and HD space issues). I skipped Windows ME because 1. it can't be upgraded to 2000 (it's downgrading technically, 2000 was released in February of 2000, ME in September), and 2. ME is basically the Windows 2000 interface on a 9x/NT hybrid kernel. I'm glad you enjoyed the video, however. Be glad to know that another one is in the work, and many more planned. I am working on currently the evolution of Windows XP where I upgrade from Windows 2000 to XP. But not just simply upgrade, go through every single released preliminary/alpha/beta/RC build of XP and it's friends (did you know that Windows Server 2003 was originally supposed to be Windows XP Server, Advanced Server, Datacenter Server, etc?). Again, I'm glad you enjoyed the video. Thanks!